Join us to celebrate 30 years of APSE for the 2019 APSE National Conference! 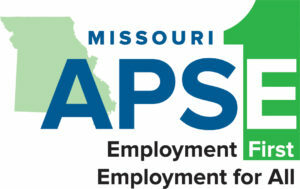 The Association of People Supporting Employment First (APSE) is the only national conference focused solely on the advancement of Employment First. 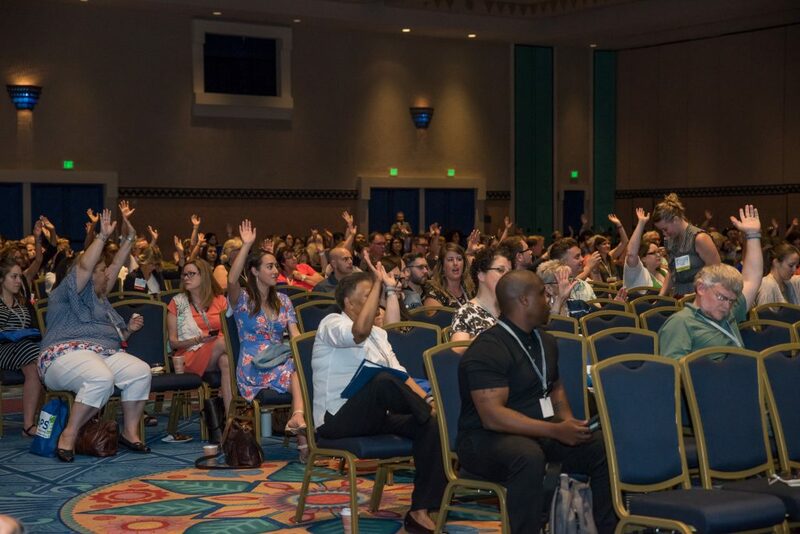 The APSE National Conference brings together over 1,000 community leaders, businesses, individuals and organizations impacted by Employment First - people with disabilities and their families, service providers, universities, rehabilitation counselors and state agency personnel. The conference focuses on state-of-the-art strategies to ensure equitable employment for all citizens with disabilities. What Does Employment First Mean? Employment First means that employment in the general workforce should be the first and preferred option for individuals with disabilities receiving assistance from publicly funded systems. Simply put, Employment First means real jobs, real wages. Employment in the general workforce means regular jobs like everyone else in society: in typical work settings, working side-by-side with people without disabilities, earning regular wages and benefits and being part of the economic mainstream of our society. 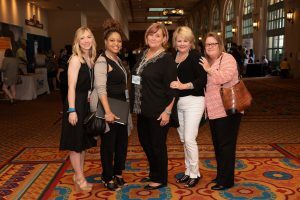 The APSE National Conference attracts key influencers and stakeholders representing employers, communities, agencies, and services. APSE members are the very people and organizations impacted by Employment First; citizens with disabilities, and their families, universities, rehabilitation counselors, agency personnel and service providers. The National Conference is designed to provide actionable ideas, state-of-the-art programming, as well as tools, solutions, and technologies that will empower you to take directly back to your business, home and community to impact change. Come ready to learn, network, and do! St. Louis: Reserve Your Room and Explore the City! Experience a welcoming, contemporary environment with seamless travel amenities at the newly renovated Hyatt Regency St. Louis at The Arch. 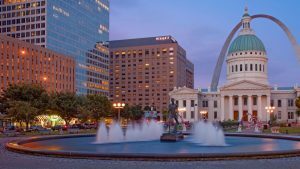 The hotel is located in the heart of downtown St. Louis near the iconic Gateway Arch grounds and scenic riverfront. Take a tour of the Anheuser Busch Brewery or catch a Cardinals game at Busch Stadium. Stay at the Hyatt Regency to make the most of your 2019 APSE experience! The APSE hotel block has rooms available starting at $195/night. You can reserve your room by going online or calling 314-655-1234. Enjoy your time in St. Louis by exploring what the Gateway to the West has to offer! Join APSE for a Cardinals game, visit one of the breweries, or one of the many unique neighborhoods throughout the city. Learn more about the pre-conference on the pre-conference tab. Will my employer help me attend? APSE has created a template letter of support letter. 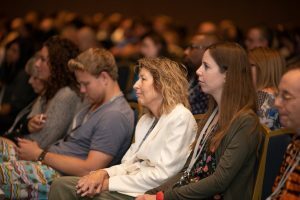 We also suggest using the information from the website to help your employer see the benefit of attending the 2019 Conference. 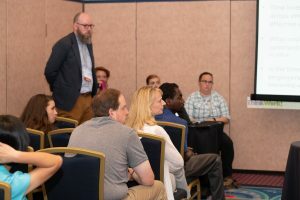 The 2019 National APSE pre-conference sessions provide an opportunity to deeply explore several pertinent topics related to Employment First directly with National Subject Matter Experts. These workshop-style sessions are longer than the general conference breakout sessions, allowing for more interaction among the participants and the nationally-recognized subject matter experts presenting. You will leave the pre-conference with tools to put into practice that are relevant to your position type when you return to work, as well as energy and new ideas for the following days at the general conference! 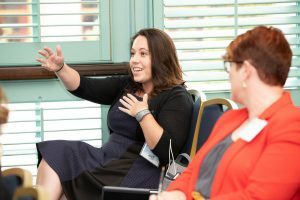 With morning and afternoon sessions, register today for the pre-conference to make the most of your 2019 APSE National Conference experience! Each year, APSE honors individuals, organizations and employers for their individual and collective contribution to Employment First. 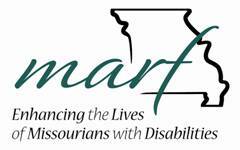 We invite nominations for the 30th Annual National APSE Conference: “Gateway to Inclusive Employment”. To recognize an organization for outstanding accomplishments in promoting state-of- the-art practices in Employment First. To recognize employers in the public and private sectors for outstanding achievements in advancing Employment First. To recognize an individual’s personal achievement in advocating for inclusive, individualized, community-based employment and/or independent living. Lois Curtis paved the way for people with disabilities to live in their own communities while receiving the services they need. June 22, 2019 will mark the 20th anniversary of the Olmstead Decision. The plaintiffs in the case were Lois Curtis and Elaine Wilson (deceased December 4, 2005), two women who were diagnosed with disabilities and had been treated in both institutional and in community-based settings. The case rose to the level of the Supreme Court and the court decided that "unjustified isolation" of a person with a disability is a form of discrimination under Title II of the ADA. Lois spent 18 years living in an institution. Since the Olmstead Decision went into effect in 1999, Lois has been able to live in an apartment she shares with a woman who helps her with activities of daily living. Today, Lois says her life is a better life. To distinguish an individual who has excelled in grassroots advocacy to ensure that local, state and/or federal policies meet the goal of increasing Employment First. The Public Policy Leader is someone who inspires others to make a difference by engaging with elected officials and key stakeholders in discussions to promote policies that support the mission of Employment First! To recognize emerging leaders who are developing a vision and creating action toward full inclusion of citizens with disabilities in our society. Wendy M. Wood is the founding Executive Director of APSE. To begin this organization took great vision, effort, determination and risk. To honor her contribution to this organization and to the overall field of supported employment and Employment First, APSE’s Board of Directors established this award. To honor Dave’s contributions to APSE and Employment First, this award is offered to individuals or organizations who demonstrate innovation in the area of technology, customized strategies, and/or self-employment for individuals with significant disabilities. Dave Hammis was an incredible innovator in the field of community-based and customized employment. His creativity and fresh approach to supporting people in inclusive workplaces---whether at a business or through self-employment---inspired many of us to see beyond the realities of what we thought possible. To honor his contributions to APSE and to the overall field of customized employment, APSE has established this award. To honor Rebecca’s contributions to APSE and the employment of people with disabilities, this award is presented to an APSE Chapter Leader who demonstrates exceptional leadership, tireless volunteerism and extraordinary commitment to the mission and vision of APSE within their state chapter. Rebecca McDonald was a tireless advocate for supported employment and a dedicated friend and champion of APSE. She passed away in August of 1999 after a long and valiant struggle with breast cancer---this year will mark 20 years since her passing. She was one of supported employment’s greatest advocates, serving APSE in various ways for 11 years. She was the organization’s founding Vice-President, served as its President for three years, and was an officer for the APSE Foundation until a few months before her death. 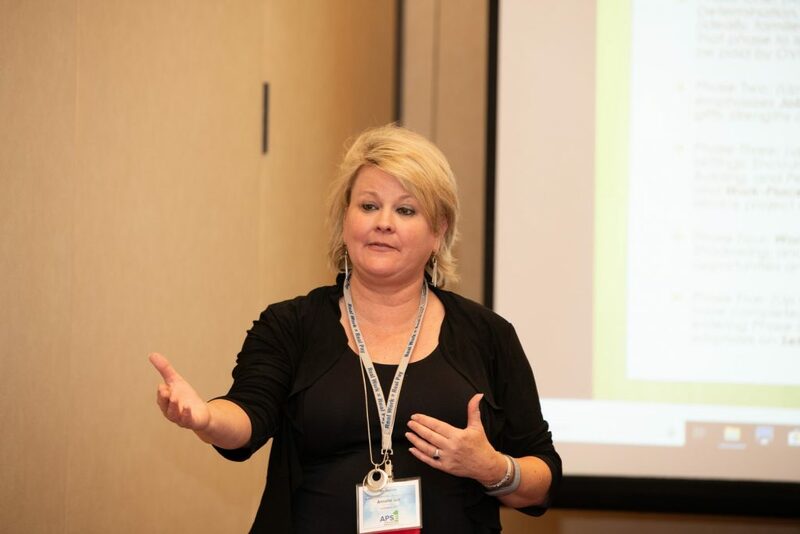 Rebecca deeply believed in the principles APSE was founded upon and she supported and encouraged others to give and share resources to make those principles a reality. "As an exhibitor at the National APSE conference in June 2018, we were very pleased with the venue and reception from conference attendees with our products. 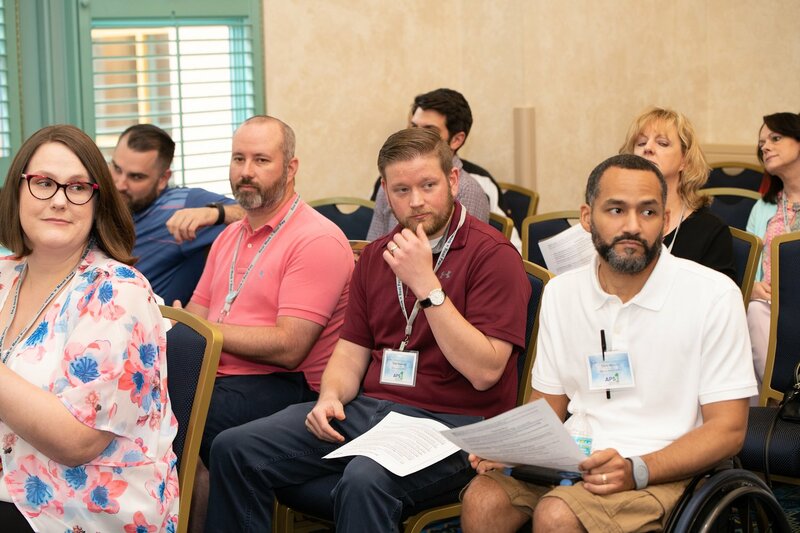 There was significant interest in our new Pre-Employment Transition Solution curriculum and the attendees, including teachers, administrators, Vocational Rehabilitation counselors, and employment providers, came to our table to learn more about this product. We had a fantastic response through being an exhibitor at this conference." * This exhibiting option is for people with disabilities who own their own business. 2019 Supported Entrepreneur opportunities start at $150. This package allows for an additional lunch/breakfast for a support person to attend. We offer a broad selection for sponsorship choices to fit any budget. Choose from one of the many offerings listed in our prospectus, or contact Jenny Stonemeier to discuss custom sponsorship opportunities. Hotel Shipping and Exhibitor Information. Special Thanks to our 2019 Sponsors and Exhibitors!